In about 1410 the walls of St Lawrence's church, Broughton were decorated with a very striking series of wall paintings. Rather less that 140 years later these paintings were whitewashed over as part of the iconoclasm associated with the English Reformation. They lay beneath the whitewash until the building was restored in 1849, when they were rediscovered, the whitewash was removed, and some of the images were retouched. What was revealed, and what is there now includes: a painting of the Doom showing St Michael weighing souls, the walls of the Heavenly City and the mouth of Hell; a Pietà surrounded by figures thought to represent a warning to swearers; portraits of Saints Helena and a Bishop-Saint, probably Eligius; and this painting of St George slaying the dragon. The upper part of St George's body has not survived (this was a casualty of a roof replacement), but the remaining part of the painting, above the South door of the church, is still remarkable. The horse, especially its head, and the saint's plate armour are carefully drawn, with a strong line. The dragon is even more amazing, with its ribbed wing, curling tail ending in a small head, and its main head, striped, toothed, and with pointed ears. Behind this exotic beast, the small figure of the princess (in late-medieval costume, with lamb) is rather insignificant, but no doubt she had more presence when he original detail was visible. Although, as is well known, St George did not come from England, he has long been associated with the country, as well as with knightly virtues and a propensity to protect those in need. He was a popular saint, and a prayer by the poet Lydgate (who was alive when this painting was done) puts him in a list of ten martyr-saints, also including Christopher and Catherine, who had the power to assist devotees in the attainment of their everyday wants and needs. Perhaps it's appropriate that the worshipper in this church saw, on entering, the rather frightening Doom painting, with its fearsome hell-mouth, but, on leaving, saw above the door the protective figure of St George, who would stand by them as they went out again into the world. 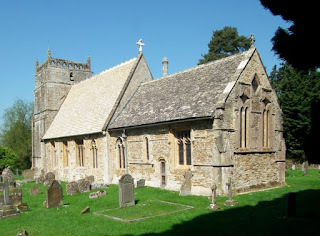 St Lawrence, Broughton, is one the churches in the care of the Churches Conservation Trust. I have blogged before about the Trust's work. They deserve our support. It was announced this week that the bus station at Preston, built in 1969 to designs by Keith Ingham and Charles Wilson of Building Design Partnership, has been listed, making demolition or major alteration much less likely. This has been a controversial building. It has been called an 'eyesore' and the local council have pressed for its demolition (that pressure was all the stronger when there were plans to build a large shopping mall on the site, plans that fell through when the recession hit). But in a survey, eighty per cent of local residents said that they felt attached to it and organizations such as English Heritage have campaigned for its preservation. I am on the side of the preservers here. I like the way the building combines the double-eight space for buses and passengers on the ground floor with the floors for parking above. The curving balconies of the parking floors are stunning, making a kind of sculptural impact that is head and shoulders above most multi-storey car parks, or most modern buildings for that matter. Inside the bus station, the public areas are well designed and retain many of their original features – white tiled walls, dark hardwood fittings, modernist clocks. Like it or not, then, it's listed, but that's just the beginning of the story. A building like this comes with huge challenges. Maintaining it, adapting it so that it's properly integrated with the city centre, even keeping those uriniferous stairwells clean – all this costs money and requires determination. I hope English Heritage will support the council in finding ways to meet these challenges. 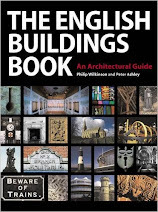 * Gothic, the name of a barbarian tribe; Baroque, an imperfect pearl; Brutalism; we do beat ourselves up, rather, with our designations for architectural styles. Thanks to Jack Meacher for permission to use his photographs. The Coronet, Notting Hill Gate, was once my local cinema. I must have passed it hundreds of times and have seen a few movies in it too, but it's a long while since I've actually looked at the building. Then, one day recently, I walked by as the morning sun was throwing its baroque plasterwork into delightful relief and I stopped and looked more closely. In truth, its design is a theatrical hybrid – a bit of Italian Renaissance (the arches in low relief), a lot of baroque (the swags, and much other detail), some non-specific classicism, some leaves that wouldn't be out of place on an Art Nouveau building. It's theatrical to be sure, and the building was indeed designed originally as a theatre, in 1898. As early as 1916 is was converted to a cinema and a ready market for movies in West London has kept it going. I'd wondered whether it was by the architect Frank Matcham, who did so many highly ornate theatres that have kept me entertained over years, from London's vast Coliseum to Cheltenham's small but perfectly formed Everyman. It's not by Matcham, but by a designer who drank from the Matcham spring: W G R Sprague, himself a prolific architect of theatres in the late-19th and early-20th centuries. Born in Australia and the son of an actress, Sprague seemed destined for the theatre. 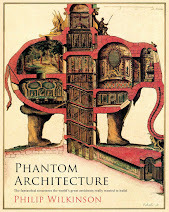 He worked for Matcham and for another theatre architect, Walter Emden, before teaming up with Bertie Crewe and designing theatres off his own bat. The facades of the Coronet show off well what Sprague liked to do – to create what he referred to as 'the free classical form'. From the Aldwych to the Gielgud, Wyndham's to the Ambassadors, Londoners can sample his work, keeping their eyes diverted before the lights go down. The Coronet, lit up by the morning sun, is a shining example of his style. Looking at this elaborate attic feature, with its scrolls, urns, and terracotta swag, one would be forgiven for thinking it comes from some grand house or perhaps the offices of a department of local or national government. 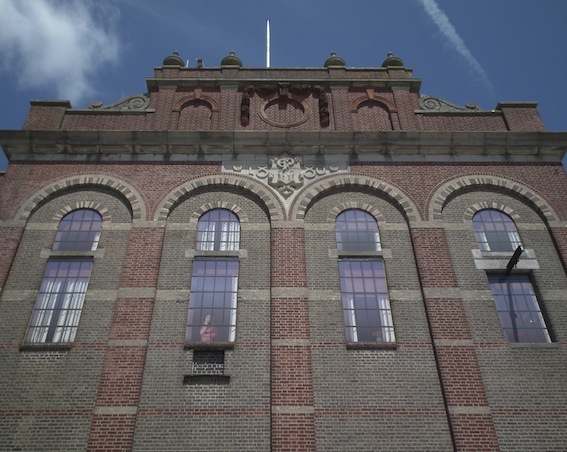 But the metal-framed windows and arches below are industrial in their size and close observers will be able to pick out the 'EP' monogram of Eldridge Pope: this building began life as a brewery. Part of a large brick complex in Dorchester, the brewery was built in 1880 to designs by G R Crickmay of Weymouth. It was constructed on the crest of a wave of expansion – the brewery became the town's biggest employer, their beer sold widely, and the owners later floated their business as a public company. Crickmay, who had been for a while the employer of the young Thomas Hardy, had a successful local practice. For Eldridge Pope he produced a design that combined industrial purposefulness with polychrome brickwork and classical decoration. This kind of mix of the functional and the dazzlingly ornamental seems to have been something that especially attracted Victorian brewers. Several of the breweries on which I've posted in the past make such bold architectural statements. Like Hook Norton Brewery in Oxfordshire, Wadworth's in Devizes, and and the Anglo-Bavarian Brewery in Shepton Mallet, this building was not only an efficient beer factory but also a powerful three-dimensional advertisement for their owners. Sadly, beer is no longer brewed on this site in Dorchester, but the buildings are being preserved as part of a large mixed-used development. Looking up, shoppers, hotel guests, and other users of the site, can still see the monogram and remember Eldridge Pope. 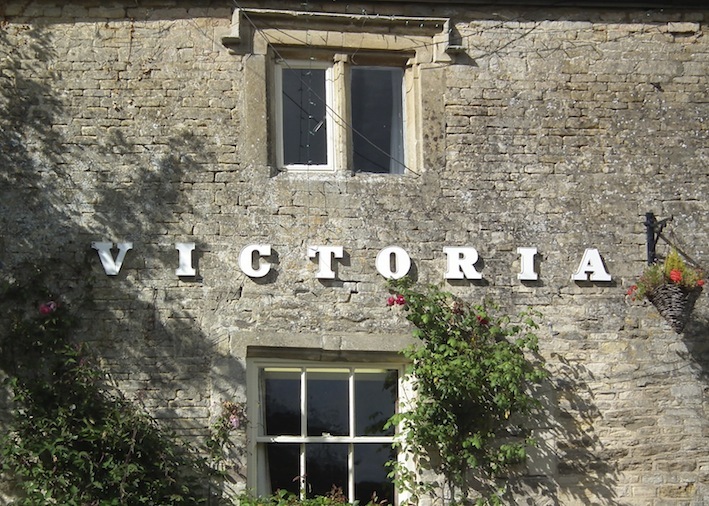 As a follow-up to my post about the lettering on the Woolpack pub in Slad, here's an example of something along the same lines, also in a Cotswold location. They're similar letters, with curved, or bracketed, serifs, but in the Roman rather than the Italic form. Rather than being made of thin sheet metal, they have a slight depth and a narrow raised outline, which you can see if you click on the photograph to enlarge it. The depth means that the letters cast a satisfying shadow. I like the wide spacing between the letters, which allows them to make their presence felt without detracting from the stone masonry between and around them. What a mixture – warm Cotswold stone walls of coursed rubble, old mullioned windows and dripstones, 19th-century sash windows, mid-20th century lettering, rambling roses, and hanging baskets. The perfect setting for an evening pint. There are buildings that are more important for their associations than for their architecture. The Woolpack, the village pub in the hillside Cotswold village of Slad near Stroud, is such a building for me. It means several things to me and, sadly since it's a pub, none of these have anything to do with me drinking there – it's a building I've been past, often, and that brings to mind various kinds of memories and associations when I see it. Apart from the fact that it's a roadside landmark that tells me I'll soon be in Stroud, it makes me think of Laurie Lee, the author of various books of poetry and of memoir, most famously Cider With Rosie, which nearly everyone of my generation in Britain read at school. Slad was Lee's village, the home of his childhood, the setting of that celebrated book, and his home again when he returned later in life. 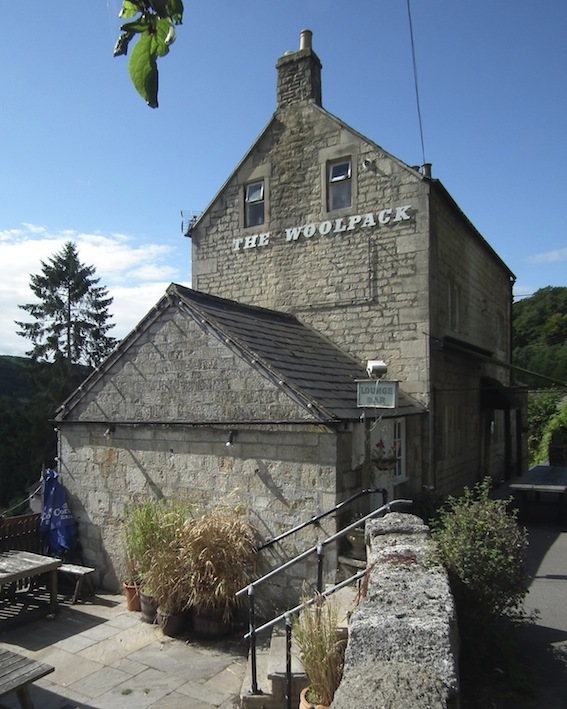 So the Woolpack was his local, and I think I remember friends, long gone, who lived not far away telling of encounters with him, well oiled and charming, within. It's a very long time since I read Cider With Rosie, and in truth I can't remember that much about the book, except that it was able to create a warm glow of reminiscence without denying some of the deprivation of the times or the penetrating winter cold which, on the Cotswolds, can be very cold and penetrating indeed. It may be rather fanciful of me, but I also associate this building with the Festival of Britain, that curious all-embracing celebration of British culture and achievement that was organised as a tonic to the still austerity-troubled nation in 1951. In part, I make this link because Laurie Lee had an important part to play in the Festival exhibitions in London – he was chief caption writer, and also did other jobs, such as helping to organise the Eccentrics Corner in the Lion and Unicorn Pavilion. The lettering on the end wall of the Woolpack makes me think of 1951 too. Those rather chunky italic capitals seem to me to be very much in the graphic style fostered by the Festival of Britain, although in fact the principal Festival sign lettering was slightly different. The Festival used Egyptian lettering, with plain slab serifs (there are some examples of the italic form of these letters in the picture below). On the Woolpack letters, on the other hand, the serif is linked to the main stroke by a curve (known as a bracket, in the trade). But still, the chunky proportions of these letters do give them a 1950s feel and I suspect they've been here for some 60 years. They're big, and clear, and stand out from the wall so that they cast a welcoming shadow too. When the travelling local arrived from Stroud, or Spain, or Chelsea and saw them, he knew he was home. Once upon a time we all sent lots of letters. Often we'd run out of postage stamps and the Post Office and shops would be closed, but we'd still want to get the letter in the mail. So there were stamp machines. You stuck a penny (or a higher value coin) in the slot, and a stamp, or a book of stamps, popped out, and you could send your letter on its way. 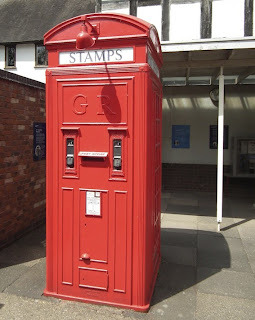 Stamp machines were found in the walls of Post Offices, next to mail boxes, or set into the side of a special kind of stretched phone box, like this one: the K4 telephone kiosk introduced in 1927 as a sort of Post Office in miniature. An enlarged version of the much-loved red telephone box designed by Gilbert Scott, the K4 was sometimes known as the vermillion giant. Comparatively few of these giants were made (I think about 50), supplementing the thousands of wall-mounted stamp machines outside Post Offices. 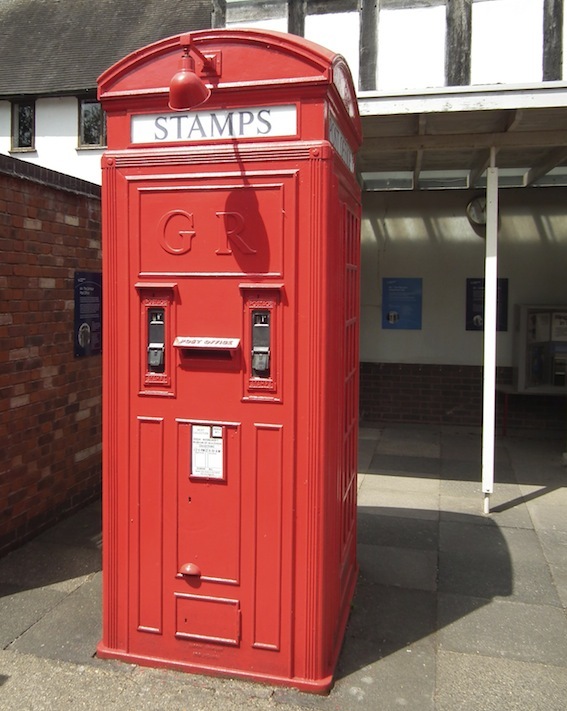 This rare survivor is at Avoncroft, which houses the National Collection of telephone boxes. Both K4s and stamp machines disappeared when the price of stamps began to make coin-in-the-slot vending impracticable – when stamps increased in cost and the standard stamps weren't priced in convenient multiples of £1. At the same time email was replacing real mail in many cases, further accelerating the demise of stamp machines. And it was a similar story with other kinds of coin-in-the-slot vending. The only time I usually put a coin in a slot theses days is to pay for parking. With the rise of the mobile phone, many standard red phone boxes in Britain (the ones without stamp machines and mail boxes) have disappeared too, although there are worthy efforts to preserve them. So, once-loved pieces of street furniture become less useful (or less generally useful), and die out or acquire new uses. And yet. Automatic payment systems are on the rise. Supermarkets are getting us used to scanning our own groceries and paying for them with our plastic cards, without (in theory) the intervention of supermarket staff. I have very mixed feelings about this, but it's happening and we have to deal with it. Maybe a new building type will emerge to handle some as yet unthought-of automatic transaction. I hope it will be as elegant a solution as the red phone box, and its slightly cumbersome, but still impressive, cousin, the vermillion giant. After my post about the lovely late-medieval manor house of Treago, someone asked me whether I'd been inside this fascinating house. Alas, I have not. Most of the time, the buildings I post about are ones that I see from the outside, en passant, as I travel around. Often I glimpse them from an eye corner as I drive past, before stopping and taking a closer look. Sometimes that look can't be too close – just what I can see from the public road. This house, Mears Ashby Hall, northwest of Northampton, is an example. A flash of light on stone caught my eye, and something pale-coloured next to a big tree. There was a place to pull in nearby, so I did. What I found was a house of the 1630s with a gabled front and mullioned windows. It's a large house but not palatial (many a bigger house of this period has more space between the outer wings and the central porch), and it's the sort of building, perhaps, that the owners of Treago might have built if they'd lived 150 years later than they did. The curvaceous gable over the porch, the twin Doric columns on either side of the keystoned doorway, and the stepped windows in the smaller gables – all are touches that catch the eye and lift the building from the run-of-the-mill. Pevsner's Northamptonshire volume tells me that there's a large Victorian wing designed by Anthony Salvin round the back somewhere. I didn't get to see that of course. From the gate I could see, in spite of that imposing tree, just enough of the entrance front to appreciate its architecture and its symmetry. This is the fate of the passer-by, the driver-past, the traveller-through. This blog is in part intended to show that one can see interesting things and make worthwhile (albeit brief) observations about them during such journeys: that, in short, one can use one's eyes and that it's worthwhile doing so. When I was a boy in Cheltenham there was a local paper that had amalgamated with an earlier publication in the way newspapers sometimes do so that the combined title was called, if I remember rightly, The Cheltenham Chronicle, Incorporating The Looker-On. Quite so. The looker-on. Keeping his eyes peeled for you. From way back, there's another answer to the question 'Have you been inside?' 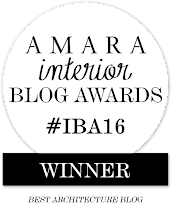 here, which explains a bit more about why I blog in the way that I do.